I’m so disappointed that almost a week has gone by and I haven’t had an opportunity to blog. I’ve had a really packed week though; running around with Bohdi the puppy, drinking wine and doing lots of laughing with Michelle, Kim and Laura in Revolution on Tuesday (and not taking any photos! – sorry), getting lost in London and attending a really great Internal Comms conference on Wednesday, taking some snaps of some great outfits for My Street Chic in Southampton on Friday, and this weekend has so far been X Factor and dinner at Prezzo last night. 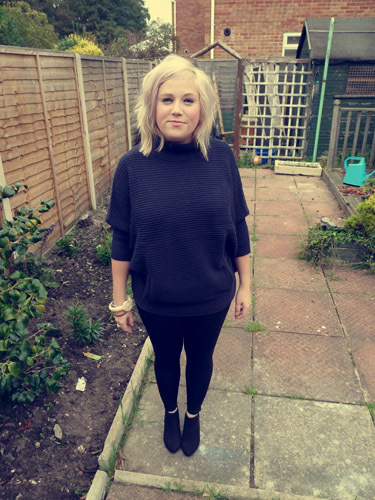 The first photo is my outfit to go to Prezzo. I had mini splurge in h&m on Friday after work and bought a couple of baggy knitted jumpers   to wear now it (finally) seems to be getting colder. This was slightly naughty however as I’d already made an online h&m order with the Chelsea boots I’m wearing in the photo, as well as another jumper – so now I am on a self-enforced spending ban until the end of the month. Well, kind of – did anyone catch the ASOS You Choose sale yesterday? (it was only open until 5:30) I couldn’t refuse a blazer and shoes for a tenner each. I have a giant box of clothes I need to sell to now bring my bank balance around to something a bit more normal – what’s everyone’s verdicts on eBay vs. blog shop? I can’t decide which one to go with. The second photo is my Feel Unique beauty box, which arrived on Friday. I am currently subscribed to three beauty boxes (Boudoir Prive, Glossybox and Feel Unique) but really ought to cut it down to one so I decided I’d make a decision based on this month’s boxes. 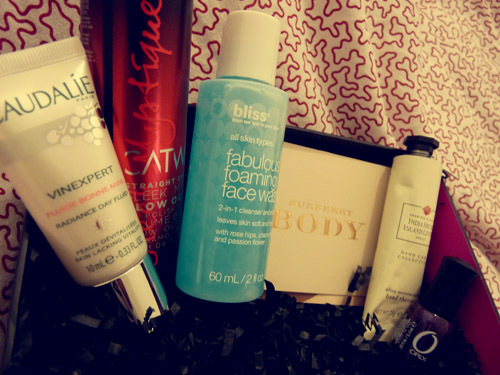 My gut feeling is that I’m going to go with Glossybox, though I really do like Feel Unique too. Lily also blogged about her Feel Unique box here and I agree with her that although it isn’t as well known as the other boxes it really is a strong contender – it is the cheapest box, at £9.95. 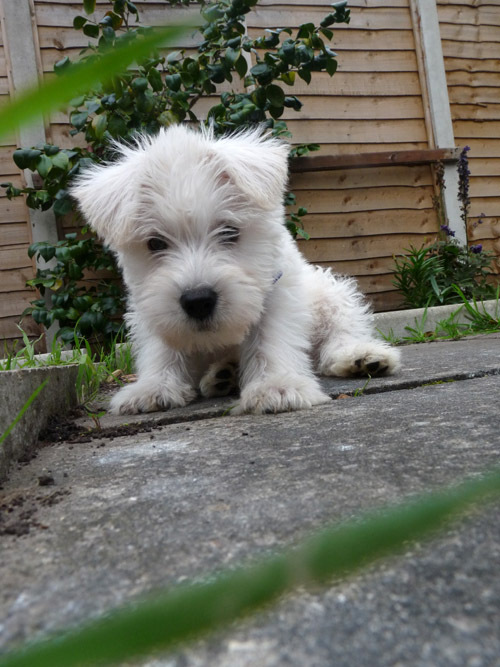 The final photo is of Bohdi the puppy playing in the garden. He is so much fun and Tom and I have already fallen head over heels in love with him. He is already getting pretty good at his house training and it’s so nice coming home to someone so excited to see you! I will leave you with a really short video of Bohdi thinking he’s found a friend in the house. Nope… just his reflection in the mirror!